It's YOUR money, so YOU get to make the choices about how to use it! You are a Money Manager! Check out our free resources for Money Week and Healthy Eating Week. 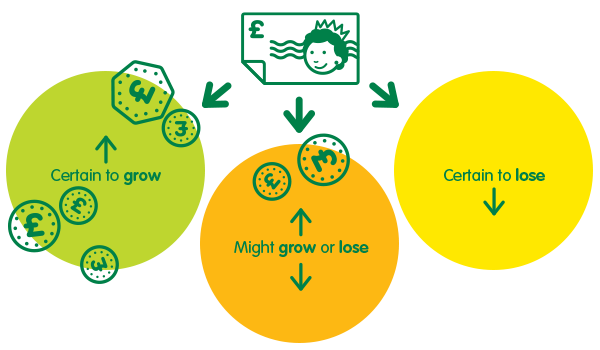 At Pupils Profit we really like the idea that YOU can make a profit, so weâ€™d like you to think about the possibilities you have with your money. We hope the following helps you to manage your money, and grow it too. 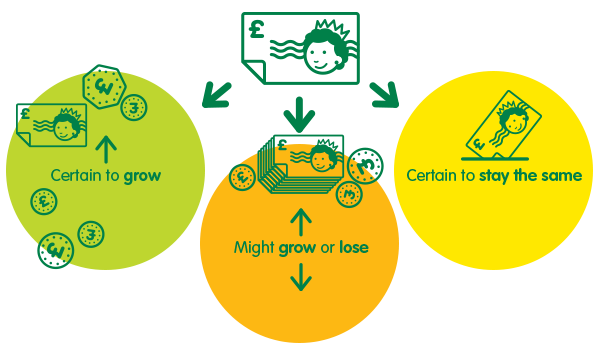 goHenry can help you manage your pocket money, and learn more about the value of money. You get a free app and a pocket money bank card with a lot of tools to help you save and also spend safely. Your parents get to see where youâ€™ve spent your money and they can also automate your allowance to be sent on any day once a week! Let your parents know they can sign up with you here and get 4 months free trial today. Buy a property, historically they do increase in value | Shares | Books/Courses to teach a skill you can sell eg. computing | Items we need to make something you can sell eg. baking ingredients. Should I buy fair trade products? Should I buy eco friendly products? Should I buy organic products? Your decisions will depend on your circumstances and your beliefs. So how do we get to receive more money? â€¦ hereâ€™s an exercise you can suggest to your parents to help you learn about saving, and youâ€™ll also earn some extra money as interest! My Savings Goal and Savings Plan â€“ everyone needs a plan! Request Money Manager Training Materials to encourage your class to become critical consumers. Youâ€™ll receive high quality ready to use training materials to allow you to actively differentiate between spending choices that will lose, grow, or have a possibility of growing their money, and applying this to a plan. They will understand the concept of loan, debt and interest, and how VAT is built into the cost of many goods in shops. Please advise us of how many classes require the resources and weâ€™ll provide you with a price. Interest: Money charged to you by a bank or financial organisation lending you money. Or money paid to you by a bank or financial organisation where you keep your money. The bank charge you if you borrow from them but they pay you if you keep your money there. They pay you more if you promise to keep it there for a longer time. Loan: An amount of money that is borrowed often from a bank, and has to be paid back. Usually youâ€™ll pay interest as a charge for borrowing. Eg. you borrow Â£75 and youâ€™ll pay the bank back the Â£75 plus their interest, which could be anything from a 0%-100% or more â€“ make sure you understand all the information! Debt: If you owe something to someone else that is your debt to them. If you borrow Â£75 from a bank you have a debt of Â£75 to that bank. Investment: Where you put time, money, effort etc into something to make a profit or get some sort of advantage. Eg. invest in learning a new skill such as how to design a computer game or write a blog, which you might be able to â€˜sellâ€™, or buy company shares. Share: One of the equal parts that the ownership of a company is divided into. Often these are bought by members of the public who hope the share price will increase in value. Some shares pay a dividend payment to the share owners which is giving them a proportion of the profit the company has made. Tax: An amount of money paid to the government. The amount is based on your income, or in the case of Value Added Tax (VAT), it is dependent or the cost of goods and services youâ€™ve bought. Cash: Money in the form of notes and coins. Everyone can use cash, and if you are only using cash our tip is to keep it all in one place so itâ€™s easier to know what youâ€™ve got! Debit Cards: A small plastic card that can be used as a method of payment, the money is taken from your bank account automatically â€“ you can use a goHenry Card which works like a debit card from age 8.
Credit Cards: A small plastic card that can be used as a method of payment, the money is taken at a later date, and penalties and interest are charged for late repayment of credit cards. Credit cards are available to adults and subject to the card providerâ€™s approval. Internet Banking: Using a banking website to allow you to pay or move your money â€“ this is generally available at aged 16 and above â€“ we like the free goHenry App to help you manage your money. Fair Trade: A way of buying and selling products that ensures that the people who produce the products receive fair prices. Eco Friendly: Products and services designed to do the least possible damage to the environment. Organic: Not using artificial chemicals in the growing of plants and animals, for food and other products.